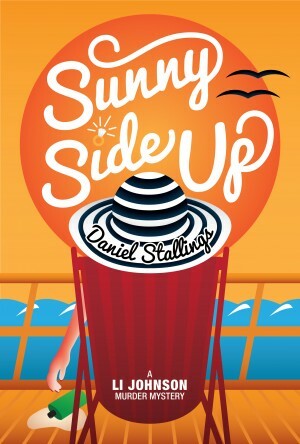 Pace Press, Linden Publishing’s latest imprint featuring entertaining and engaging genre fiction, is proud to present the artwork for Sunny Side Up, our upcoming mystery novel by author Daniel Stallings. 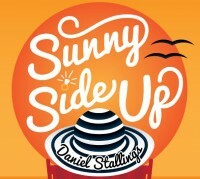 Sunny Side Up is the debut novel for Stallings, who (like his main character) is in his twenties. For the cover design, we enlisted the talents of another twenty-something artist, Dominic Grijalva. The concept came from Stallings’ suggestions, but we asked Grijalva to execute the idea in the style of his Pop Culture Gif series of graphic designs. The result is a delightful mix of old and new style that fits the tone of Sunny Side Up perfectly. Stallings’ love of Golden Age detective fiction by Agatha Christie, Dorothy Sayers, Ngaio Marsh, Raymond Chandler, and Rex Stout inspired him to bring the style of the classic murder mystery to digital-age audiences in a modern voice. In addition to writing mysteries, Stallings works in theater as a producer, director, and actor. Combining his interests in mysteries and theater, Stallings operates Master Mystery Productions, which produces custom interactive mystery game events. He currently serves as President of the Eastern Sierra Branch of the California Writers Club. Stallings lives in the city of Ridgecrest in California’s Mojave Desert. Sunny Side Up will be available in March, 2018. It is currently available for pre-order on Amazon.com.